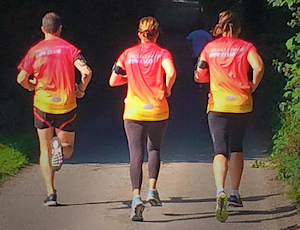 Founded in 2014, we began life as a loose collective of friends who came together to enjoy sociable runs around the village of Balsall Common and its surrounding areas. Since then we have become affiliated to England Athletics and are attracting members from far and wide. Many members have progressed from being total beginners to taking part in 5 and 10k races, half marathons and even the odd marathon or two ….. with some going even further! However there is no pressure to compete in races and those who simply fancy a gentle run on a sociable basis are just as welcome to join.